Which Film will Dominate 2014? 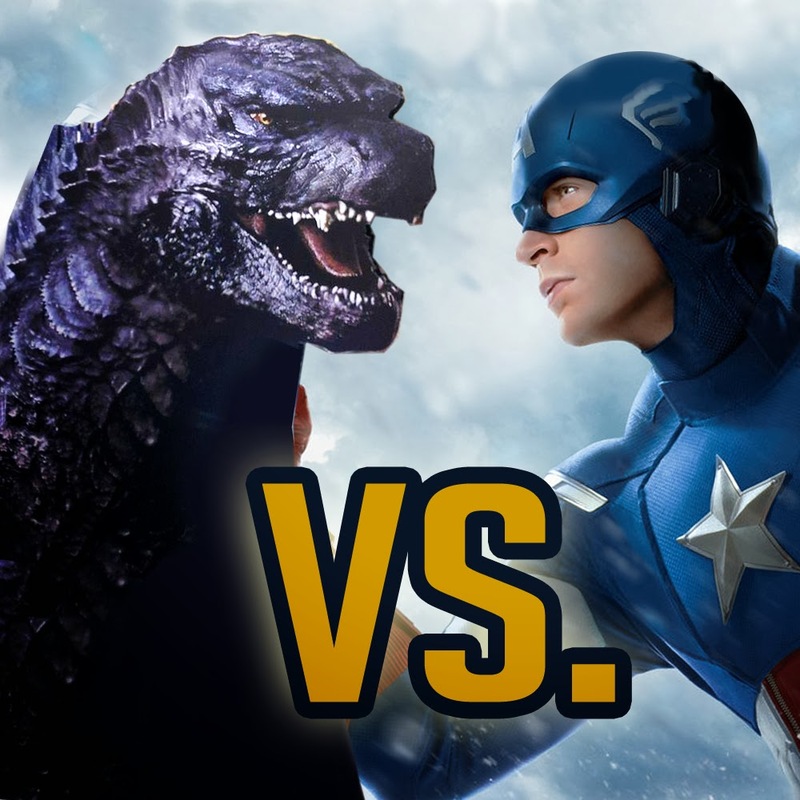 Godzilla or Captain America? Motley Fool stock picker Tim Beyers was sure that Godzilla was going to be a dud, at least compared to Captain America: Winter Soldier. In fact he went "all in" saying that Captain America was going to crush all the Summer Blockbusters. Recently, like any good analyst, he has revised his opinion based on new data. Mostly the IGN poll which asked fans, "Which movie are you most excited for in 2014?" Guess which movie won by a longshot? Yep--Godzilla. He also looked at other factors such as YouTube views and web metrics based on mention and general chatter. You can read a portion of his revised article below followed by a video of his full explanation. In early January, entertainment site IGN published a poll in which Godzilla ranked as the sci-fi movie fans were most excited to see in 2014. Christopher Nolan's Interstellar ranked second at just over 20%. By contrast, among comic book films, Tim's top pick -- Walt Disney's (NYSE: DIS ) Captain America: The Winter Soldier -- ranked a distant fourth at 13.9% of the vote, trailing The Amazing Spider-Man 2 (14.3%), Guardians of the Galaxy (18.7%), and X-Men: Days of Future Past (35.2%). What's more, recent Google Trends data shows that Godzilla, co-produced by Legendary Pictures and Time Warner (NYSE: TWX ) , has enjoyed impressive search volume in the days following a new trailer or other news event. And yet, between the two, Tim still believes the Winter Soldier has an edge. Why? He cites two reasons. First, a new trailer for the movie has been viewed more than 13 million times in less than two weeks -- a stunning number when you consider that a preview for The Amazing Spider-Man 2 has earned less than 4 million views over the same period. Second, with an early April release date, the new Captain America gets a month in theaters before the next round of would-be comic book and sci-fi blockbusters reach audiences. The extra space should give the film time to generate momentum, Tim argues, a luxury Godzilla won't have when it launches between the debuts of Spider-Man and Days of Future Past.